This new indepth scouting feature also includes amateur scouting as well as the Fog of War, requiring you to utilize your pro scouts to evaluate players you wish to acquire through trades and free agency. Continue on to see an excerpt from the developer blog and the video from Producer Gurn Sumal. Franchise mode in NHL® 19 is deeply immersive, thanks to scouting mechanics that fully assess players and provide insightful information. Assemble a team of up to 20 amateur and pro scouts, and choose carefully, as scouting affects drafting, trading, free agency, and waiver wire pickups this year. 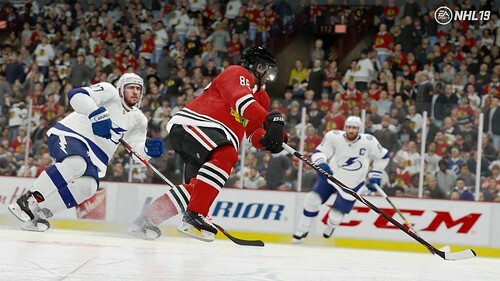 Great NHL teams are built through drafting and scouting, and in NHL 19, it's no different. Check out the video from NHL 19 Game Modes Producer Gurn Sumal for full details, and learn how to stock your team with talent as you look to clear the Fog of War.